Larimar pear drop pendant set in sterling silver. 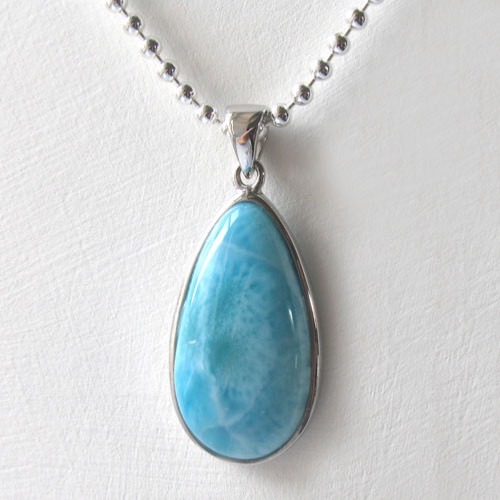 This larimar pendant features a graceful larimar gemstone set into a plain sterling silver frame. 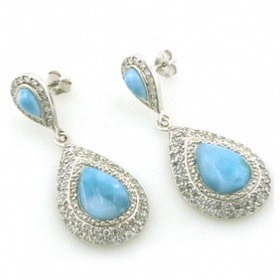 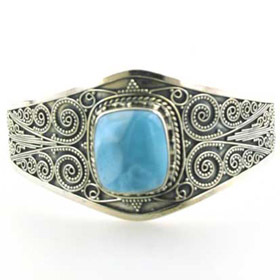 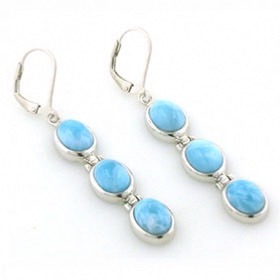 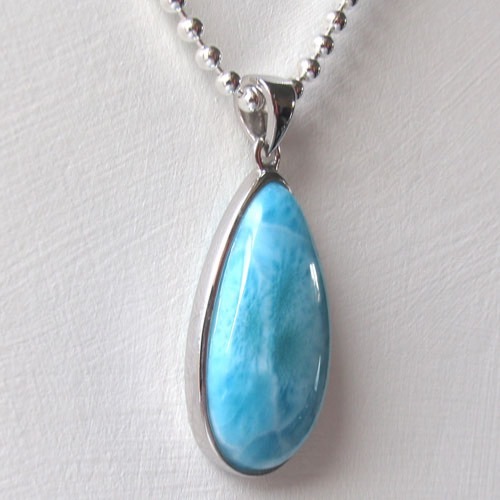 The larimar gemstone is polished smooth and has a surface sheen created by a protective coating. 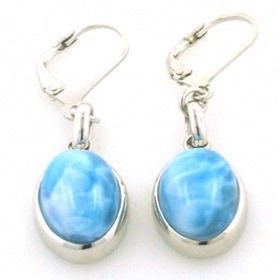 The larimar displays the characteristic shades of pastel aqua blue and the cloud-like reticulations. 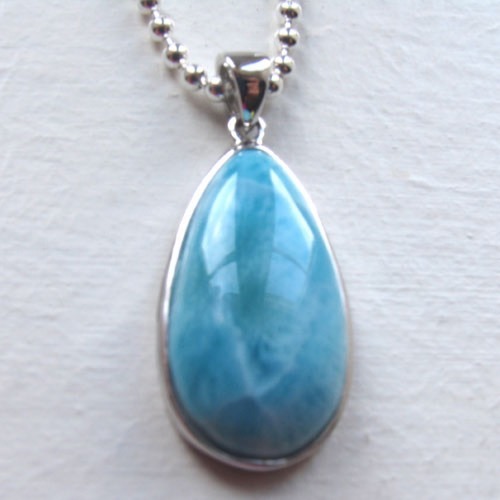 For information about this much loved and unusual gemstone see About Gemstones. 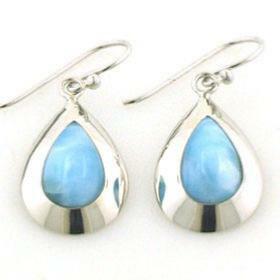 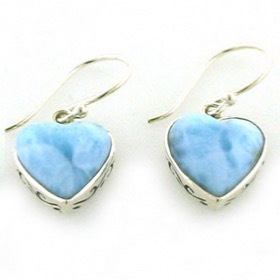 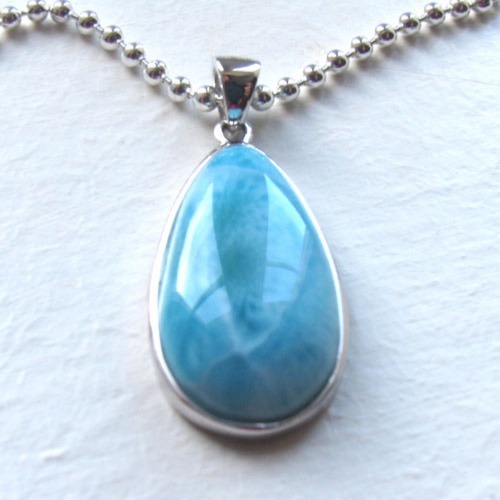 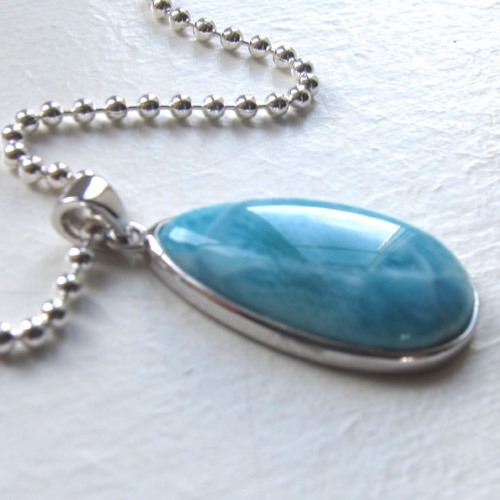 Enjoy free delivery in the UK on all larimar pendants and sterling silver chains. 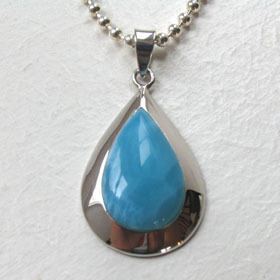 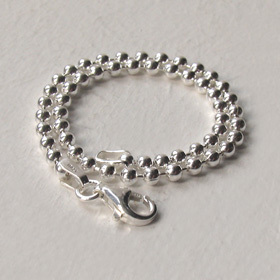 The pendant is photographed with our pretty silver ball chain, width 2.5mms. 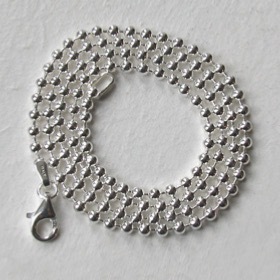 We thought this chain suited the pendant well but to make your own choice, see our entire collection of silver chains.